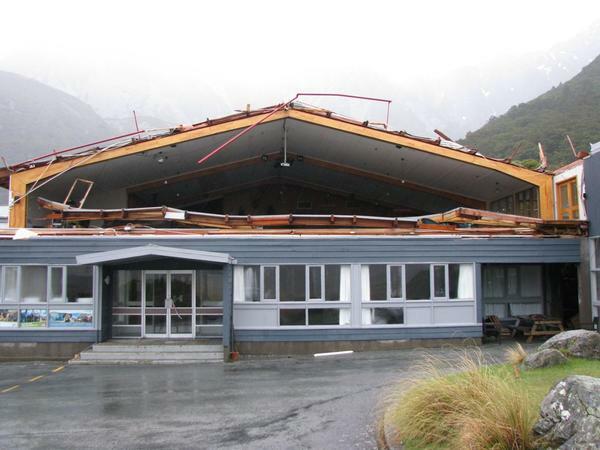 A favourite local and visitor meeting place at Aoraki Mt Cook has been badly damaged by a violent storm cell that hit the region last night. 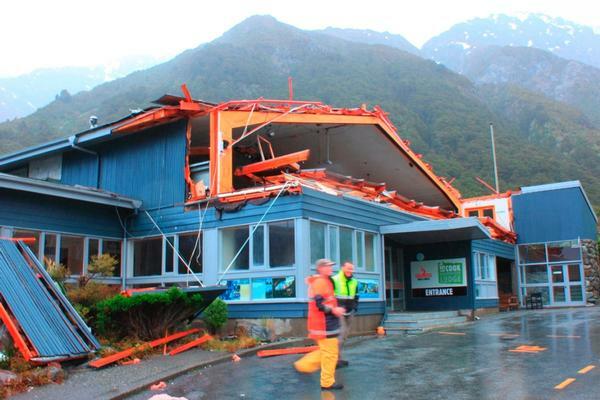 A ferocious wind gust blew in the picture windows which frame the view of New Zealand’s highest mountain, severely damaging the roof of the much loved Chamois Bar (pronounced Shammie). Mt Cook Backpacker Lodge manager Justin Winter says the wind was absolutely phenomenal. While the accommodation wing of the Lodge was undamaged, it will remain closed until the common areas can be repaired. Builders and assessors are at Aoraki Mt Cook today to assess damage. Mr Winter says it will probably be 48 hours before the assessment is complete but says everyone is committed to getting repaired and back to business as quickly as possible. The Mt Cook Backpacker Lodge opened last year on October 1 following an extensive refurbishment of an existing lodge and The Chamois Bar and Grill.